If I had all kinds of super expensive fancy equipment to test my products, I would be able to finish developing them a lot faster. My products are all tested 'in real time'. Sometimes that means having to dump a product after months of it 'behaving nicely'. Some products will actually fool you and behave nicely for what seems like forever – then go wonky (practically) overnight. My latest lip balm did just that. It suddenly went grainy after 5 steady months of non-stop, problem-free use. I know what the problem is, and I am going to have to drop the one ingredient I was most pleased about bringing into this formula: shea butter. Regardless of which supplier I order from, shea has always been a bucket of worms to work with. In some combinations and with some production methods, it's pretty consistent (even though it always needs to be treated like a baby). Where it really gets iffy is with warmer temperatures. 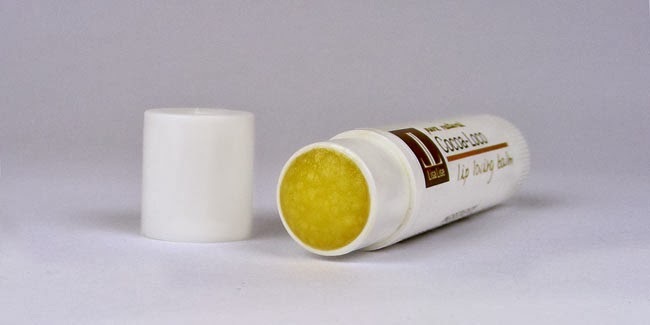 You can't make a lip balm without involving temperatures. Every wax and butter has a different melting point. To get the perfect texture and stability, things have to be done in a certain order and the temp must be monitored constantly. And even if you've checked and double checked and worked uninterrupted with the concentration of a safecracker, it still goes wrong sometimes. Next batch will be shea free. I know that feeling! So annoying when it behaves sometimes, then sometimes goes all grainy and not so wonderful on you (me). Is shea the only butter that acts like that? I have not have any other butter do it yet, but then I have only beeb making my own cosmetics for a little while, not like you. I like macademia and coffee cause they seem to stay soft and so has the mango and avocado I've tried. I've pretty much only had this grainy experience with shea butter. It sounds like you are working with some exciting butters! May I ask who your supplier is? I've never worked with macadamia butter, and I think it would be fun to try. Tak Rikke! det er vel nok dejligt at vide at jeg ikke er den eneste der slås med shea. Lige så meget som jeg elsker det, så kan det være noget så frustrerende at arbejde med! Thought of this post when I was in Magasin the other day looking at the (in my opinion) overprized Eve Lom products - one of the sample balms was all grainy too. I am trying other butters though cause I just like the ssmooth feel better than the grainy one. Hej Tina - I've got an upcoming post on shea graininess-- a reader sent me some very interesting info that I am checking out..